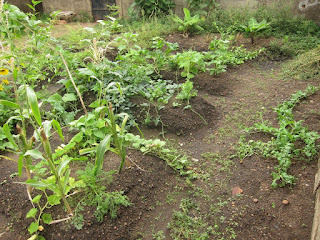 I have always wanted to have my own garden, even before joining the Peace Corps. To be honest, I secretly looked forward to the opportunity when I first learned many Volunteers take up gardening during their service. 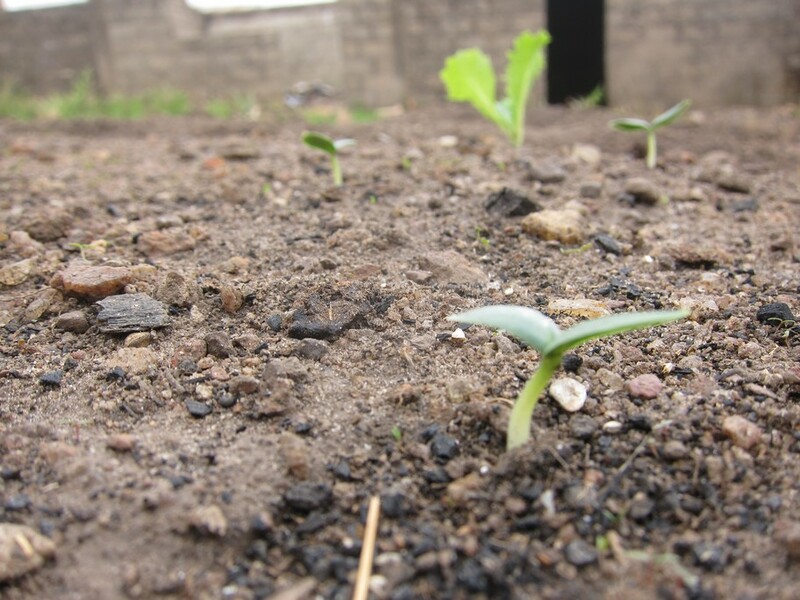 However, while many PCV’s do in fact lavish in the fruits of their labor, there are still numerous factors that could hinder volunteer garden possibilities. 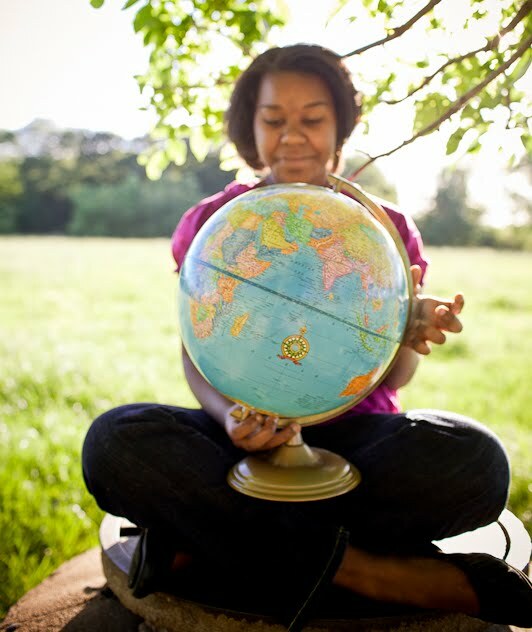 First, the assignment country needs to have the right climate. It also helps if this country has some agricultural infrastructure. That makes buying the tools and seeds much easier and is also a great experience to learn from local technique and/or recruit help. However, even when PCV’s are assigned to countries meeting these criteria, the local environment and location set-up varies for each post. It is not a guarantee that each PCV in a garden-friendly country will receive a garden-friendly place to live. 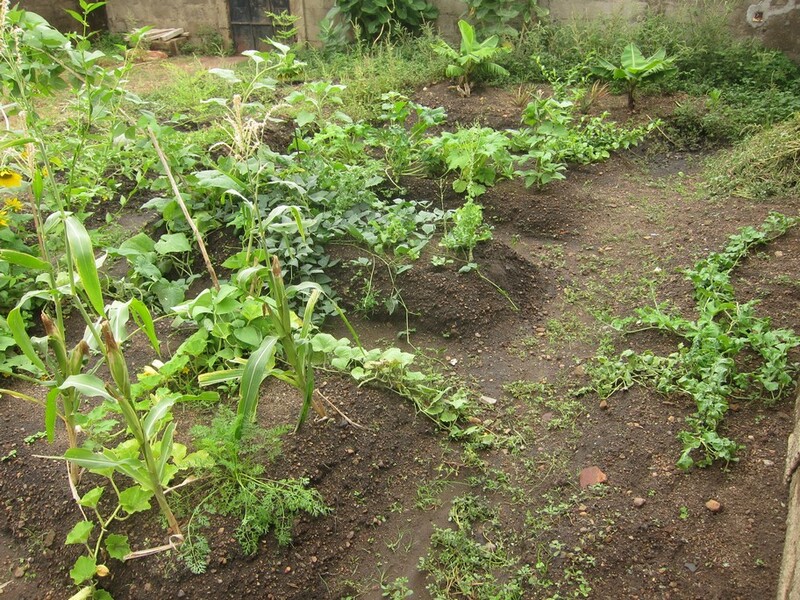 Some posts are simply too small, do not have not enough ground space, lack soil, have too many animals/not enough fencing, no/inadequate water source, and sometimes landlords simply don’t authorize use of their land space for gardens. 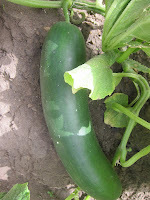 One of the first plants to pop up-- cucumber! Somehow I managed to make all the way to Togo and get a post assignment that is quite garden-friendly. My wide open yard space is more than adequate for my needs, and if I do things right, I should have enough to feed my neighbors too. After Swear-In I found myself at my assigned post—a.k.a. my host community. I arrived toward the middle-end of rainy season, but got to see that many things grow with absolutely no help. Random tomato, peanut and local sauce plants started growing in my yard from rain water alone. Mainly because I did not know what I was doing, I took things slow initially. I did not do much garden work for the first two months and eventually cleared away a humble 6 ft. x 6 ft. space. Later, my local counterpart suggested a different area of the yard and increased the size to something more like 15’ x 20’. I was reluctant to change at first, but the new area is on a more downward slope and better suited to accommodate the wide array of things I want to plant. Before I started putting things in the ground, I got my hands on our natural resource management toolkit (a compilation of documents, resources and guides). Inside, I found lots of helpful information on creating “permanent gardens” and tried to replicate the steps. Garden beds (two additional beds not pictured). The basic idea for these “permanent gardens” is to aerate the soil. This involves digging into the ground not once,but twice. This way, plants can let their roots go deeper down, rather than competing with each other for top level nutrients. I thought this seemed easy enough, and went at it. I pick axed my way into the cleared space little by little and then went back over it a second time. It turns out, this is not actually how it’s done. 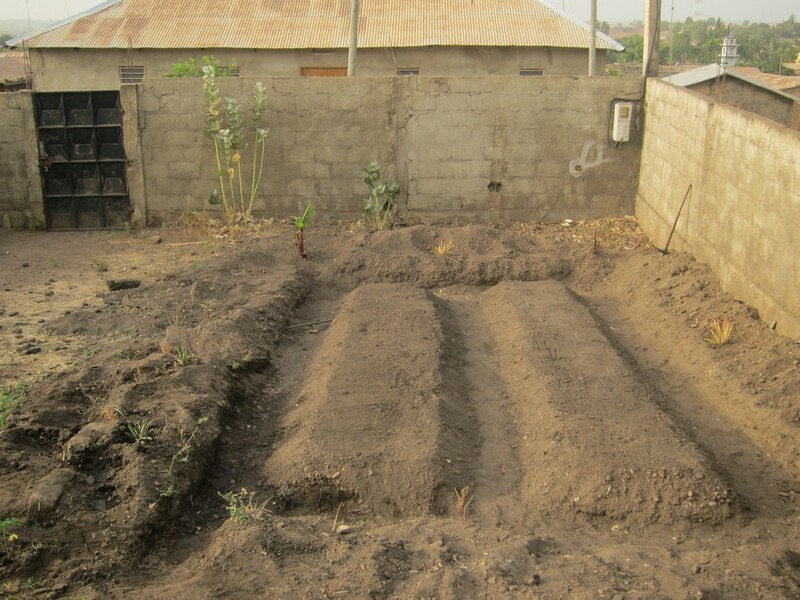 At a later Peace Corps training, I learned the double part of the dig is when the first layer of loosened soil is removed. Then, the next layer is then loosened as well and ash, manure, wood charcoal and fresh leaves are added to enrich the soil. Next, the first cleared soil is re-added to again make the planting beds. That process took about ten hours in two days working alone, though I was a bit slowed down by the massive amounts of rocks and random trash I kept finding in the ground. Apparently, planting seeds is not so straight forward either. There are spacing guidelines which should be followed between each plant. For instance, corn should be placed about one foot from each other, while beans only require a half foot. It also turns out that some crops might do better or worse when mixed with other crops. Which means, a corn next to another corn will not produce as much as a corn next to a bean plant. Finding the perfect mix gets a little difficult when there are dozens of plants to account for. Nevertheless, I was ready for the challenge to work on my green thumb. I planted aloe vera, banana trees, cantaloupe, lemon grass, Moringa, papaya trees, pineapple and watermelon around the exterior of the garden. 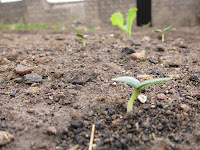 In the beds, I planted carrots, cauliflower, chives, cucumber, onion, peanuts, peppers, tomatoes, various spices, peas and beans, along with other assorted vegetables. It has been a continual process of weeding and other monitoring, but so far I have been able to eat a few things I have grown. The next thing on my list is to make a natural insecticide!